Functional test automation is nothing new, but yet people shy away from adapting it. It could be because the perception is that it is just not efficient or that their application does not cater for it. There are a lot of misconceptions about test automation and those misconceptions mean that certain productivity gains will never be made. There is more to automation than functional test automation; you might have seen our World Quality Report which highlights RPA (Robotic Process Automation) as one key ‘break through’ for 2019. First, let’s talk about functional automation. If you are adopting Agile (styled) methodologies you can’t avoid test automation, it is engrained in Agile and essential if you want to gain a high throughput. It will be development and possibly system testing that will pick up test automation as they are part of the sprint cycle, as soon as you are outside the sprint cycle like UAT or NFT it is often forgotten or dismissed. 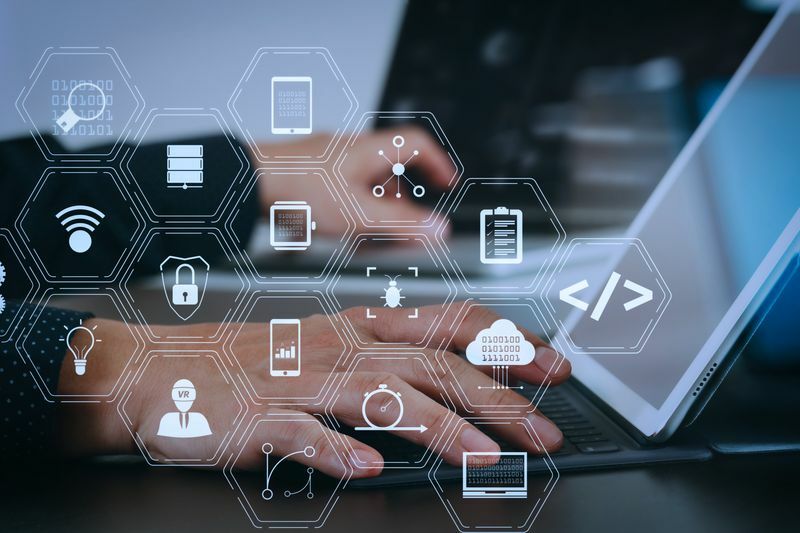 At first glance, it might seem that running an automation suite once every few weeks or months is not an effective use of test automation and you would be right if this would be the point where you started creating automation scripts. This does ignore the fact there is already automation available from earlier phases. We need to re-use that and re-purpose those scripts to allow them to run in UAT, NFT and even in production! It might mean that the automated scripts in system testing will need to add some functionality to allow them to be re-used but the benefits are huge. Something to investigate! Now let’s talk about the “new” kid on the block; RPA. Saying that, it is not really new, it has been around for a while but it is breaking through in 2019. RPA is seen to support the production process in different ways, but it can be used deeper into the organisation itself. Within your project, you might be creating documents on a regular basis and you probably find that a lot of the information in those documents is an accumulation of information from existing information sources. There is the potential that RPA can assist you fill in a template document with information from the various sources allowing the author to focus on the last 10-20% to finish off the document with a narrative, summary or opinion. RPA should be applied sensibly though, it is (very much like functional test automation) not the answer to all the problems. For instance, weekly or even daily reports should in principle not be generated using RPA, dynamic dashboards are lot better suited for those situations. There are moments in time maybe that for regulatory reasons a report needs to be generated. Either that can be done directly from the dashboard (through export or other means) or potentially through RPA. It will mean that the format of the document is the same for the readers regardless of who generates the document. In my earlier blogs, I talked about the importance of information gathering within your project and across the software development life cycle and this is something that RPA might be able to assist. While the preference is using API’s to exchange information between applications and system, APIs might not always be available. This is where RPA can be used to gather information from different sources that might otherwise not be able to share information between systems. The main rule for using RPA is that if there is a “boring” task that is repeated on a regularly basis, it should be a candidate for RPA. RPA has the potential to increase productivity, but it needs to be applied sensibly. Increase productivity is also not just about just doing things faster, it is important that you are doing them right the first time around. Quality assurance needs to evolve and start a generation of QA initiatives that is not just looking at doing things well, but also look at how we really can improve in the widest sense of the work. That includes improvements to the productivity of a project delivery through automation. This can be a daunting task for the project itself and even bigger for the wider organisation. We have done numerous of these QA improvement investigations and implementations on a wide range of projects, organisations and industries that allow us to bring a wide set of experiences to aid your project/organisation. We will give you a no-obligation review and provide you the points of improvement and a suggest improvement plan. Then it is up to the organisation to take the next steps with our help or at the organisations own initiative.